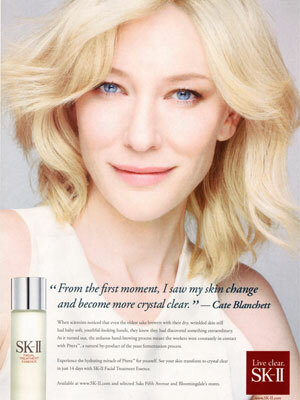 Cate Blanchett (born Catherine Elise Blachett on 14 May 1969 in Melbourne, Austrailia), is an Australian actress. 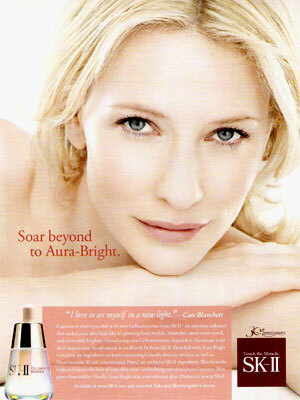 She starred in the movies, The Lord of the Rings (trilogy), Elizabeth, The Aviator (Academy Award winning role). 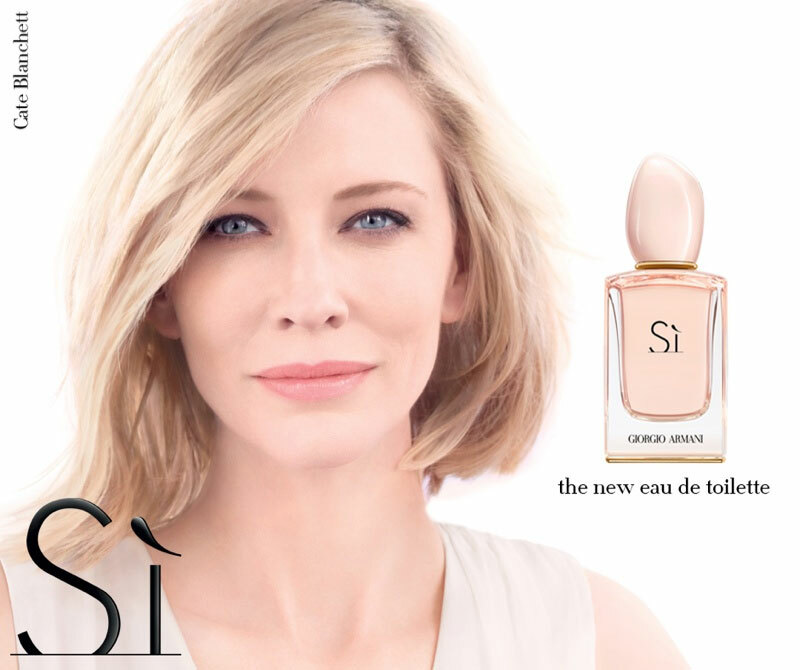 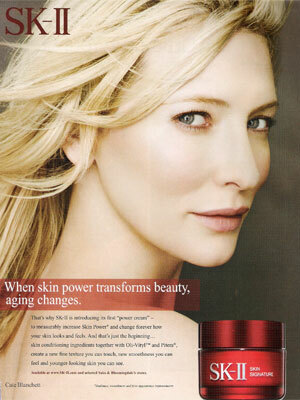 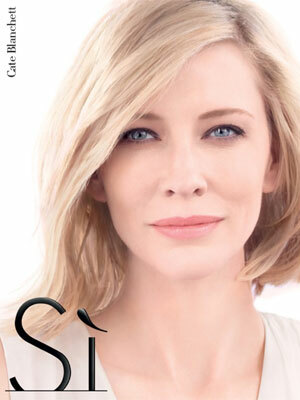 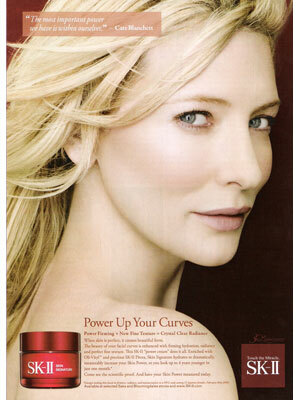 Cate is the face of SK-II beauty. 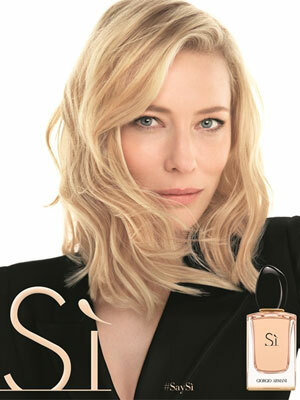 In 2013 she was signed as the face of Giorgio Armani's Si fragrance campaign.